Looking for funding for your organisation? 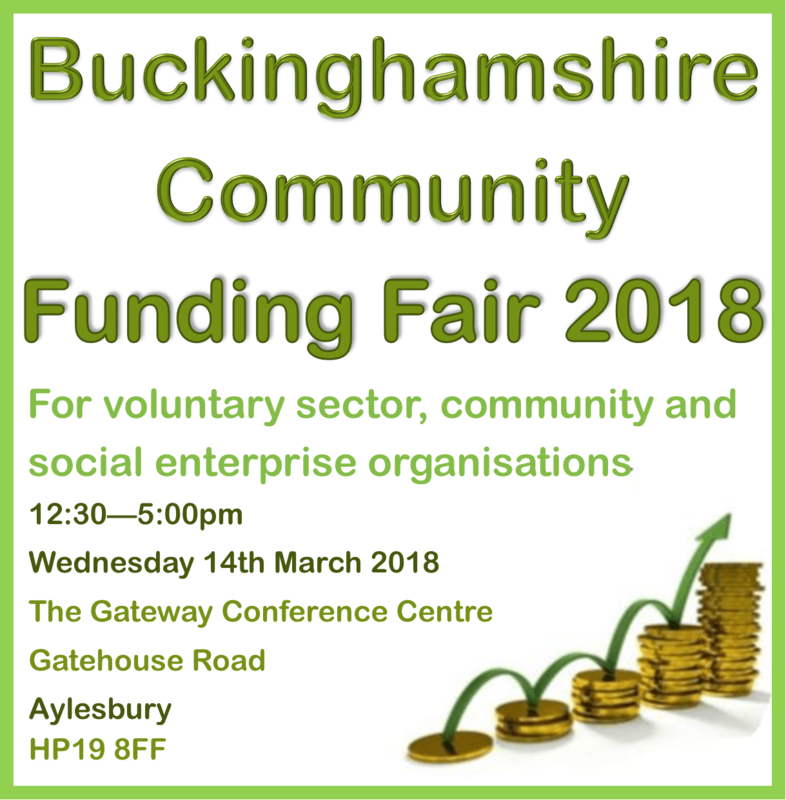 Attend Buckinghamshire Community Funding Fair to find the funding you need – an afternoon exhibition of local, regional and national funders and support organisations. This annual event is a fantastic opportunity to speak to 20 different funders and voluntary sector support organisations, ask questions and gather information, as well as a chance to network with other charities and community groups from the local area. This event is organised by the Buckinghamshire Community Funding Group and, thanks to sponsorship from its membership, is free for community, charity, voluntary sector and social enterprise organisations in Buckinghamshire. ← Data Protection law changes – what does your group need to know?